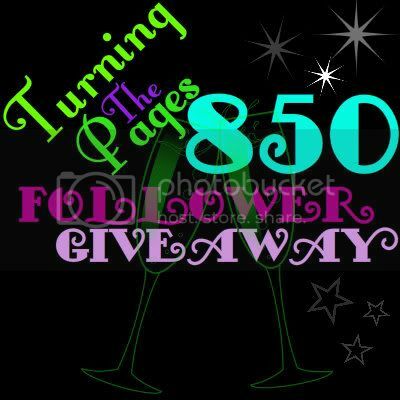 I'M PARTICIPATING: Turning The Pages: 850 Follower International Giveaway!! Turning The Pages: 850 Follower International Giveaway!! : In celebration of the blog reaching 850 AMAZING FOLLOWERS, I've decided to hold a giveaway! There will be ONE winner. The prize of a of $15.00 CAD (Canadian Dollars) worth of books from BookDepository.com . The Winner will have 48 hours to respond to the notification of their winning the giveaway. IF no response is given another name WILL be drawn. The giveaway is from July 14th - August 7th 2012.